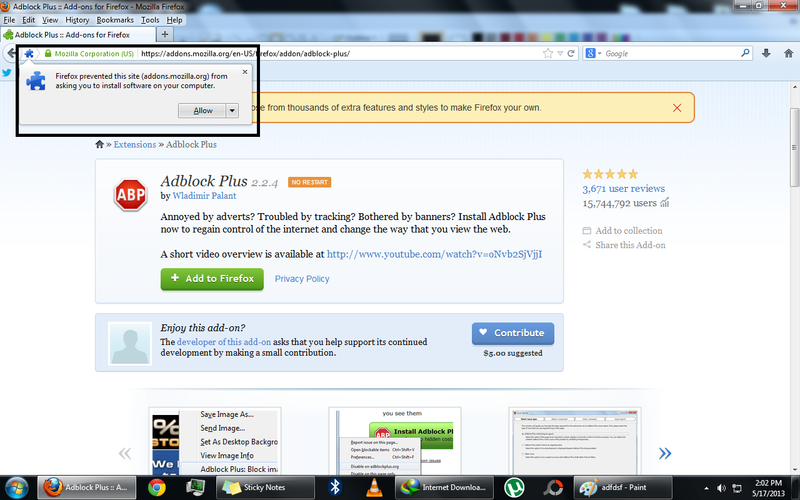 This is a tutorial how to block ads on websites you are visiting. This is a must have add on in your browser if you're annoyed by pop ups or accidentally clicking the ads and redirecting you to another page. Blocking ads on a webpage makes the page loads faster. This add on is available in Google Chrome and Mozilla Firefox. Lets gets started! 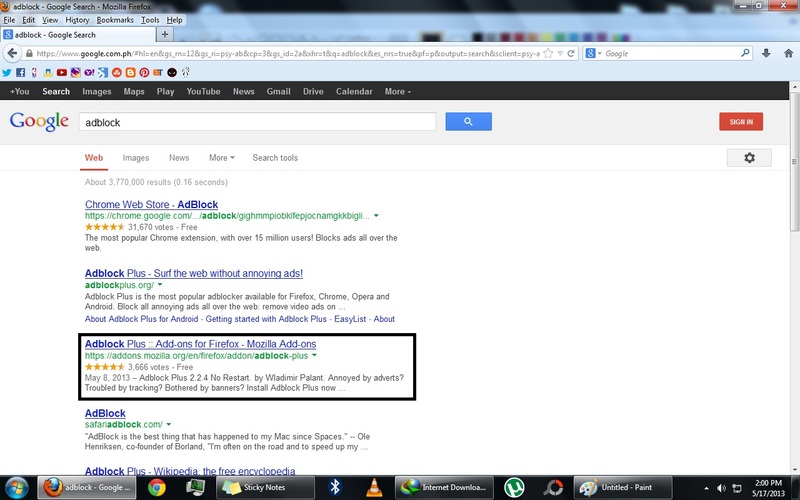 First type "adblock" in Google without quotation. Just choose the adblock for your browser in this tutorial I am using Mozilla Firefox. 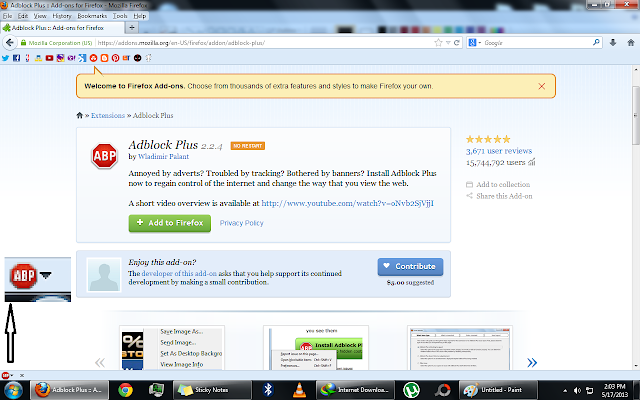 You will redirected to this page click add to Firefox. 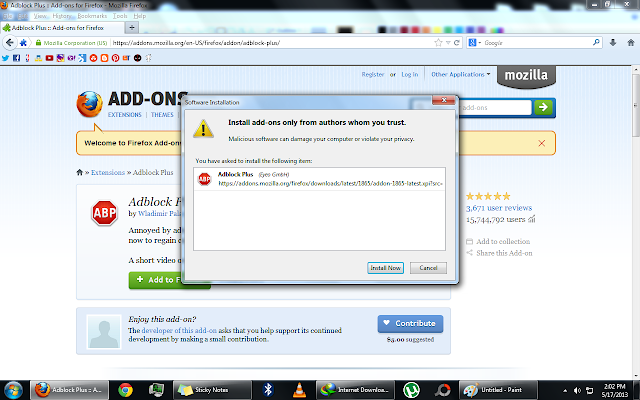 You'll be asked to allow to install the add on. Just click allow. Again another dialogue box will open just click install now to finish the installation. After installation you are done! Congratulations! 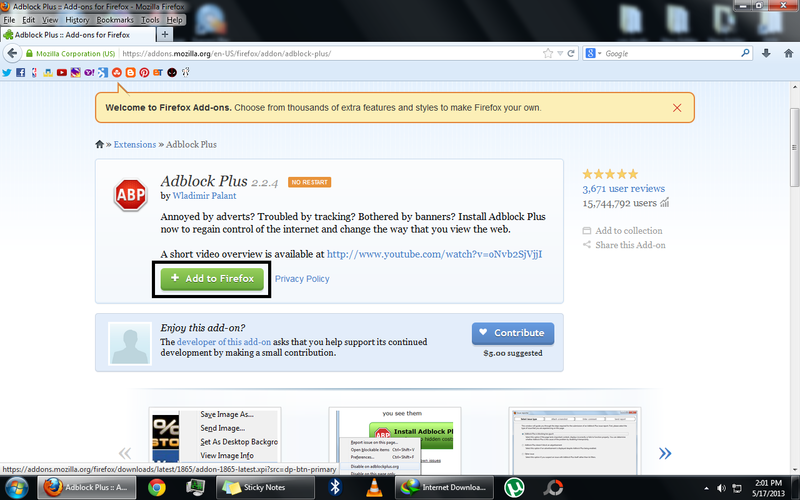 Look at the lower left of your browser and you'll notice there is a red mark it means that the adblock is active.